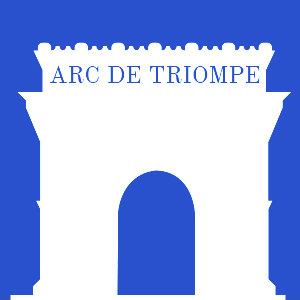 At the base of the Arch de Triomphe stands a torch. Every evening at 6:30 P.M. it is rekindled, and veterans lay wreaths decorated with red, white and blue near its flickering flame. It burns in the darkness to recall the sacrifice of an unknown French soldier who gave his life during World War I. ARTICLE 1: The honors of the Pantheon will be rendered to the remains of one of the unknown soldiers who fell on the field of honor during the 1914-1918 war. The transfer of the remains will be solemnly made on 11 November 1920. ARTICLE 2: The same day, the remains of the Unknown Soldier will be buried under the Arc de Triomphe. On November 10, 1920 at the Citadel of Verdun, Auguste Thien reviewed eight identical coffins, each bearing the remains of an unknown French soldier who had been killed during the Great War. Thien selected the sixth of the eight coffins, which was transported to Paris to rest in the chapel on the first floor of the Arc de Triomphe. There the coffin remained until January 28, 1921 at which time the Unknown French soldier was laid in his permanent place of honor at the base of the Arc de Triomphe. On October 22, 1922 the French Parliament declared the eleventh day of November in each year to be a national holiday. The following year on November 11, 1923 Andre Maginot, French Minister for War, lit the eternal flame for the first time. Since that date it has become the duty of the Committee of the Flame to rekindle that torch each evening at twilight.